How much does it cost to live in an RV? It's cheaper than you think. Or rather, the way we see the world is fake in that so much of our lives revolve around what we’ve been told is “just the way it goes”. Like television, we’ve had so many years and decades of mediocrity pummeled into our minds that we begin to think that Two and a Half Men is good. People rave about it. Awards are handed out. But there are secrets out there. They shouldn’t even be a secret, we’ve just all moved so far away that we don’t see it. You can pay $1500 for a decent house that can fit a family of four or five. You live there, in one place, and spend oodles once a year on a vacation. Then you come home, pay that rent (and then some in utilities), and twenty years later might be doing the same thing. Meanwhile everyone has their space. Space to disappear into their video games and man caves and kitchens. You, as a family, live together but you’re separated as easily as a staircase can be climbed, a door can be closed. Or you could “upgrade” to living in an RV. You pay some amount of cash for this home on the road, and set off on a journey. That initial cost is probably similar to what you’d spend on a downpayment on a house. That is, if you would have lived in a $500,000 house, you buy a $250,000 rig. If you’d have lived in a $150,000 house you buy a $35,000 RV. And yet others find their way into single digit thousands and work on them as we go. These aren’t statistics, just observations. Of course, it’s only going to work if you can figure out how to make a living while traveling. We’ve got a big ol’ article on exactly that, including interviews with folks who do and examples of actual jobs, what they rake in, etc. That’s one type of these “secrets” I’m talking about. You trade up space in a fixed location box and some amount of small outdoor space for the entirety of a nation. Your back yard doesn’t need mowed, it needs explored. Little bits of your mind explode until you truly begin to see the world in a light I find to be almost infinitely brighter than shone before. And then the real bomb drops. You being to realize you’re right. You stay in an RV park, five feet away from your neighbor and surrounded by highway noise. You fork out $45 or so for the experience. Your monthly rent is now $1400 per month…utilities included, and you get to travel somewhere new quite often. Then you move down the road of life to state parks. Now you walk out your little RV door and see nothing but trees and space, maybe a glint of your neighbor through it all, and certainly if they were to yell you’d hear it, but space is not only abundant, it’s beautiful. You’re now paying $20 per night. Rent has dropped to $600 / month. Utilities are still included (except for propane, we spend around $30 / month), though you won’t necessarily have a sewage connection, so you’ll need to drive over to the dump station every few days and let the pipes fly. Depending on your situation, this may happen two or five times a week. But it’s hundreds of dollars in savings in exchange for an hour or so worth of effort. Where are the state parks? We’ve got a guide to every single state park in the US with RV camping. Find your park! Then you keep on down that keepin’ on road and find the national parks with camping. There are no hookups. But damn it’s beautiful. And rent is closer to $15 a night. We’re talking under $500 a month. Now though, you’ve got to conserve lights, fill your water tank manually, generally perform more maintenance to every day life. You’re a conservationist by necessity, yes, but what you’re saving the planet you’re also saving yourself in time traded for money. You have more time with your kids. In nature. Surrounded by not only beauty, but freedom. The ability to choose where you’ll go, and even more so, your own fate. You also save $1000 / month compared to the original living in a house situation. Plus all of that savings on utilities, which just get translated into you walking to a water spigot or spending a few bucks on gas or investing in solar. And did I mention the whole traveling part? Even if you’d have spent only $900 or $600 per month on rent, just do the math. And feel free to factor in the benefits of the proximity to something gorgeous and/or fun to do every single day. It can be difficult living this type of full-time traveling life, and the planning and mundane tasks are certainly a part of it all. The rewards are innumerable though. Seeing your children’s first step, when they learn to ride a bike or you being the one who shows them how to read. I just can’t imagine a different way of life I’d prefer, and so I prefer to not imagine and just live it instead. The following comparison shows precisely what would be typical for me and my family, which includes mom, dad, three kids (two toddlers and a teenager), and grandma, a family of 6. Your results may vary. The “Home” table reflects averages for the entire US. We then compare it against our own costs, and those of average prices for new and used RVers, except where those costs wouldn’t change based on the rig you have. Links to sources inline. So you’re looking at around $1250 / month in savings, not to mention the $50,000 or so you’ll save on the initial purchase. I have left out some expenses as they might be comparable regardless of your situation. Those expenses are gasoline, home owner’s associations vs. RV clubs, phone and internet costs. While you may think the average RVers spends more on gas / year, we don’t. There is no daily commute, and no one said you have to, or even realistically will, drive hundreds of miles every day. Here are our findings on that (and all things environmentally friendly about living in an RV). What about interest though? At a 4% interest rate, the total cost of that $343,000 home would be over $471,000 over 30 years, before you factor in all of the other monthly bills!. It’s hard to compare these things exactly though, as a house can last for many generations, whereas most RVs will have a hard time lasting for an entire person’s lifetime (especially if you buy used when you’re still young). Airstreams and very well built Class As are the exception. As for Home Owner’s Associations vs. RV Clubs, well each come with a fee…except the latter tends to save you money while HOAs just cost you. On the other hand, if you really want nearly ubiquitous Internet access, mobile data plans tend to cost much more than broadband connections at home, so we’ll allow these two things to balance one another out. * Monthly expenses for a house equates to mortgage. For RVs, it equates to $20 / night average camping fees. * Includes an estimated $600 / month in camping fees + 15 year loan at ~5% for each of these RVs. Lower your rent, see the world by RV, become your own awesome! A young couple pay off debt, hit the road and find one another through full-time RVing. This is exactly what I want to do! But I can’t seem to find a job I can do from the RV. What do you do for work? 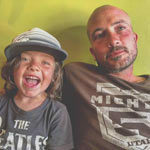 Hey, Nathan: The pic shows you with a little girl–is that your daughter? How do you school her “on the road” and how has this worked out for your children and you? Hah, that’s actually our middle son, Winter. 😉 Everything we’ve ever written on roadschooling can be found here. It works wonderfully for the younger aged ones, and is something any parent can do (or at least I believe so.) As our teenager (now almost 17) has aged, he hasn’t always loved being homeschooled, though. Just have a search around the site, Phil, there’s a ton of info here. If you have any specific questions, don’t hesitate to ask! I am 62, single, healthy and fairly strong in mind and body. I love to travel, have family and friends all over the US. I left my job in NJ to live in Fl. I bought a small home for $23,000 and living on SS. Now my expense are increasing, I pay lot rent and my SS is not going very far and can not afford to travel anymore. Thus is mostly due to miscalculations on my part and a retirement fund that was not nearly what it should have been. Anyway I am now considering giving up this life and going RV. I really miss my family and friends and they can not travel to me nearly often enough. Based on selling my house for at least what I paid for it and a monthly income of about $1600 what do you suggest. Any input will be greatly appreciated. I am giving it till the new year before I make a final decision. Well, Caroline, I’m certainly no financial advisor, so take that into account. Would your house sell for $23,000? With that, you could probably get a decent, used Class C RV, or possibly a decent used trailer + used truck to pull it. However, it would be tight quite honestly and if I were actually going to recommend something to you specifically, given that you’re on a fixed income, I would just make sure you do your due diligence. Used trailers especially, can require a lot of maintenance. Used RVs can too, but something about trailers, it just seems like they’re either not built as well, or maybe their frames aren’t as solid, so things are constantly breaking. On a fixed income, it may become daunting to be able to save some of your money every month for a “just in case” fund say, if your fridge needed repaired or your water lines froze or something even more major happened. Make sure you look at the frame of any trailer, for example, the axles, or have a friend who knows this stuff really well come and help you. If you’re going with a vehicle (like a Class C or the truck to tow the trailer), there’s all the inspection stuff you need to do there, too. That said, if you can manage to get a trailer/truck or Class C (though note that Class C’s, unless you can also afford a small car to tow behind you, make it more difficult to leave your “camp” and drive to the grocery store, etc.) and have some money left over…I could easily see living off of $1600 / month as one person. It’s just about putting your expenses down on paper, then really, and certainly depends on what kinds of places you want to stay / live. Then say insurance is $200 / month. A cell phone plan with Internet access, if that’s something you want (and I personally recommend, even if it’s just for looking up other campgrounds) for $75 or so. If you drove 12,000 miles / year, getting 7 mpg, which is pretty likely with a Class C or truck/trailer combo, I believe that would put you at around $500 / month in gas. Of course, this is the one area you have the most control over, because you can certainly drive less than that if you’d like. It all depends on how much commuting you do (drives to town for groceries, sightseeing, etc. still happen) and how far you travel each month. You would know what your monthly expenses on food, medicine, etc. would be. Health insurance is also a bit trickier on the road. Another $15 – $30 / month for propane, being conservative in my calculations, those are your major expenses before paying for campgrounds. As to campgrounds…RV parks run $35 or more / night, but have amenities like showers, full hookups (water, electric, sewage), sometimes pools, and often fellow retirees. Discount clubs like Escapees.com and Passport America can help with these expenses to some degree, but not on an every day basis. You can also rent by the month, which typically gets you a significant discount, if you don’t mind slowing down. I’ve seen nice RV parks that go for $350 / month. Then there are state parks, which run sometimes $15 / night, typically closer to $20 / night, and that often includes electric & water, but no sewage at your site (you have to drive over to the dump). 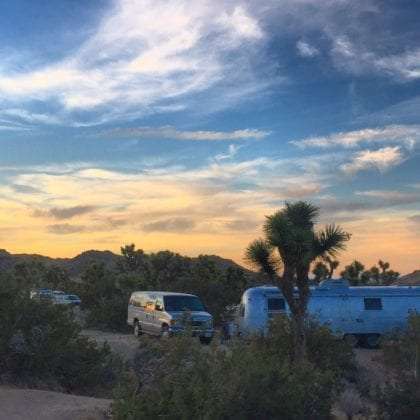 They typically have a 2 week max stay at any given park, but are almost always more beautiful than private RV parks, with each site tending to have much more space. Then there is boondocking, where you basically stay on BLM land or National Forests for free (check out campendium.com regardless of what kind of camping you think you want to do). There are no hookups, so you need a generator (which increases gas consumption) or a solar power setup (and having both is typically necessary, since the sun doesn’t shine everywhere, every day). The cost is often free, or very cheap, to stay at these places. Using a combination of all three, we were able to keep our rent down to around $250 – $300 when we were last in the US. This was typically spent primarily on state parks (10 – 15 nights / month), another 15 – 20 days / month boondocking, and the final costs coming in when we wanted to stay at an RV park for a day, twice a month, for the convenience of something…nicer showers, a day at the pool, washing machines, etc. Another idea to save big time is to spend a few months in Baja California every winter, where food is crazy cheap, boondocking is abundant (you can even find spots with lots of other American / Canadian snowbirds if you’re concerned about safety, but it’s completely safe in our opinion after having been down in Mexico in general for a year), and in general the sun shines all winter long. So if you can live off the grid / rough it a bit, and keep your rent to around $300…that puts you at a total of about $1100 / month in expenses, which would seem to work for your expenses. I’m sure there are other ways you could spend that money that I haven’t listed here, but maybe you could use this as a basis and go from there. Note that this doesn’t make for an easy life always. But I personally find it to be infinitely more fulfilling. Also, staying with your friends for a week at a time would kill some rent. You can also look into workamping (trading work, which can vary from building barns to just checking campers in), which you typically do in exchange for a free spot in a state park, national forest or private RV park, or sometimes they even pay you a little. That’s kind of a lot of info, so I’ll leave it at that for now! Thank you so much. All this information is very helpful and I do have a few friends who have traveled and lived on the road for more info. Good luck to you and your family. One of my friends traveled across the nation for over a year staying long terms in National Parks with 6, yes I said 6 kids and home schooled them. Interesting life to say the least. I have a very unique situation, I think. I hope you can read the basics here and give me some advice. Single mom, works seasonally. I home school and already work in remote areas. This would be perfect, but what about winter? What happens if the power goes out? Does gas cost a ton? I have a ton of questions, but don’t want to write on a message board, can you email me ? So how much a month is the average RV payment if you have a 30 –40k rig?? I could totally pay 4-500 down and get up 3000 for a down but what would that really get me for the money? I don’t have the numbers on that, Mike. Maybe call up an RV place, or even better just go to one…they’ll let you walk all through a bunch of them, ask questions, and essentially get a free primer. Then you can talk about price and what it would actually work out to be as far as financing goes. Ok, I am sure that you are going to say “just forget it” but here is my situation. I am 66 in good physical condition. I am in a situation that I am not happy with. I live rent free in a house with most all my expenses paid. But…..the conditions I am living in are not what I want. I have to mow and maintain a lawn with shrubs and trees, maintain anything that goes wrong with the house, keep the house clean, etc, etc. I’m sick of it. I take extended road trips occasionally but then I have to return to the drudgery of S&B. Can you think of any mode of rig or combination that I could do to live full time with a reasonable amount of comfort? Hmmm…have you looked into selling or trading your SUV for a Class B RV? Or is that too small for you? Slightly used trailers can be pretty realistically priced these days…but as to their quality and your $650 / month income, I just don’t know enough about you and how to live quite so frugally to lend much additional advice. I know that if it was just me, and not my family, I could “make it work” on $650 / month, but if you factor in car insurance and a monthly trailer payment, that starts to really limit things…and other stuff like health care and even food stamps or other government aid (which I’m not saying you’re asking for, but if it’s currently in the picture), are much more difficult to maintain if you don’t have a permanent address in a specific state. If you did want those things, or currently rely on them, then something like Escapees.com might help you get a permanent address in Florida. Don’t want to be a neigh-sayer but don’t want to lead you down a path that might not be right for you, either. My boyfriend and I are ready to hit the road. We are in our late to mid to late twenties. We’ve always worked at dead end jobs. We currently live with my boyfriends parents and we were saving some money. Unfortunately, I just got laid off from my job a while back. I haven’t been able to find a job since then. Is their a van rv or something we can get for cheap? We don’t have much money saved. In the very low thousands range. What kind of jobs can we do on the road so we can make money yet still explore while we are at our destination? Also, traveling with animals (a cat to be exact). You could certainly find a campervan for a few thousand dollars. Volkswagen Vanagons and older Class B campers especially could be in your range, though note that with a cheaper vehicle comes more maintenance. If you can do some / any of it on your own, that’ll save money, but parts, etc. still cost cash. How to Make a Living on the Road. Coolworks.com, Usertesting.com, Textbroker.com – those are three websites in particular where you can find work, online in the second two’s case, temporary seasonal work at national parks for the first. First of all, thank you for your generosity and how much you help people here! Today I found your page/article and am so grateful. You and your family are such an inspiration to my husband and me. We currently live in NYC and have owned and operated a yoga studio since 2009. Community is of utmost importance to us and the unreasonable expenses of living in this city are endangering the studio’s sustainability. Since 2009, our little yoga studio in Astoria, Queens has significantly raised the vibration of the most culturally diverse community in the world. After leading retreats and teaching workshops internationally in Asia, Africa, Central and South America, we wanted to now turn our focus homeward to a very divided nation. On May 15th, we are embarking on a 30-city US tour to Raise The Vibration of America. Spending one week in each city/town, we will work with local communities, teaching workshops on how to heal inner and outer divisiveness. To share our journey with the world, a weekly episode will be released on our YouTube channel Raise The Vibration!, documenting the vibrational pulse of each stop along our tour. Why we’re doing it: Depression, economic hardship, and fear are impacting Americans at an alarming rate contributing to grave uncertainty, growing intolerance, and crippling levels of anxiety. One in ten Americans are on antidepressants; among women in their 40s and 50s, the figure is one in four. Although we spend over 30 billion dollars on these medications, the epidemic of depression has moved suicide into one of the top ten causes of death (www.cdc.gov). I am hoping you can answer some questions for us with what we will need. I have already started a budget based on your article and answers to questions above. Our goal is to raise the funds through private, like-minded products/corporate sponsorship. What we would love is some advice about where to start with purchasing an RV. We need some way – even if it is a small motorbike to get around once with visit each town. Also – we are open to a trailer and truck combo…just not sure what you’d recommend. We are leaning towards a decent looking RV (if we can raise the funds) so there is a level of professionalism with the tour and because we would like to make that our home after the tour is over to continue our teaching on the road. If we don’t raise too much, we may need other options. Sorry to write so much, wanted to make our needs, purposes clear. Please feel free to email me too. Thank you so much for any support or advice! Your tour sounds like a ton of fun and a great thing for the country and the people you’ll meet! How long will it last? We just so happen to have an article on finding and choosing the right RV. If you plan to have a tow vehicle or a scooter / motorbike, you’ll probably want a motorhome, look into the Class As & Cs. A Class B could theoretically support a rack on the back for a scooter. Trailer / truck combos probably aren’t what you want, since it sounds like you’re interested in minimizing your impact when just driving around town. Personally, I prefer the smaller the better, but you will need to make that choice on your own. Check out this service if you want to try and give a couple of different types of RVs a spin before you buy, even if it’s just for a weekend here or there. Probably less likely to get a truck / trailer combo on that setup, though, but look around, you never know! We’ve had a Class C (without a tow vehicle, we just used bikes) and it was a pain if we had to drive somewhere for groceries, etc. so we were always looking for RV parks near towns and public transportation. Having a little car to tow along would be easier in those situations, but we don’t personally particularly love the whole hitching up process. When we lived in our Airstream + Ford E-350 combo, it was convenient to have the van and Airstream as separate things (I could work while the family went somewhere for the day, etc.) but again…I hate hitching up and down. Thus, we ended up back in our VW Bus, which is super easy to set up / tear down, can be driven anywhere, but you loose out on space. We also want to be in more natural areas, where the larger your rig, the more difficult it is to access or get any remaining spots. But that’s just us, and it sounds like you’ll be closer to towns and therefor possibly more likely to be in RV parks, so with all of that, best of luck in making a decision! Happy to try and answer any other questions you might have! That’s all fine, but you are leaving out one very important point. Houses tend to go up in value, RV’s always go down in value. There is your $1,000 a month difference. It is tempting though to be able to pick up and move whenever you want. Very true, Eddie! Except when they don’t, also. But I agree that even with giant housing crashes like we’ve been dealing with the for the past ten years now, eventually home values go up. You can sell when you’re done, though you’re likely not going to get $1000 x 12 months x 30 years in profit (is your $300,000 house today going to be worth $660,000 in 30 years)? There’s definitely a big value to the travel part of it, the living life, being happier, spending less time cleaning out the garage, etc. etc. And some RVs–for example Airstreams–do go up in value (or at least hold their own) if you play your cards right. For example, our Airstream was selling for around $7000 in 1976, when it was brand new. If we had it in the pristine condition we could should we give her 3 months time, selling it for $30,000 wouldn’t be out of the question, which is about inline with what $7k in 1976 would be equivalent to today. What if you keep your house and rent it out? Not a bad idea, either, Kim. We’ve met a few folks who do that and they get to travel more and work less while on the road, some don’t even have to work outside of their rental properties. First of all, I’d like to say I am beyond inspired by your blog and the vast amount of information provided. It makes me curious what you think of my situation. Right now, I am a Junior in college studying civil engineering, at the University of Alabama. Not trying to name drop or anything, just insight as to who I am. This summer I’m working in the state of Washington with the department of Natural Resources. Long story short, towards the end of the summer I’m considering selling my car and using the money saved from my job to purchase a van to drive back to school. I figure I can get around $5,000 for my civic and I should have around $7,000 saved from my job. I don’t want to sink all my savings into a van right away but do you think it’s possible to get one for $8-10k? I am most interested in the 80’s model VW Westfalia. I don’t need a top of the line vehicle, just something with a solid body/engine and an interior I can work on through the year. I have another year left at school beginning in the Fall of 2017. Right now I pay around $600 a month including utilities, so roughly $12k a year. My thoughts are, if I van dwell my senior year then I will roughly be able to save the $600 each month and ultimately pay for the lump cost of the van over the course of the year. I understand there are monthly costs to van dwelling, but I am in a unique situation being at school. I have a free gym membership that has all the amenities. I have friends with houses, apartments, yards, etc. where I can freely park and utilize some of their amenities. I have access to WIFI anywhere on campus and bathrooms everywhere I look. I have a different scheduled each day and a part time job. I am ALWAYS on the move. From an outsiders standpoint, I feel as if I would mesh right into the van dwelling life. I want to live a less material life. I own too much random…. stuff. I want to minimize my living “standards.” I want to remove anything in my life hindering me from experiencing life. I can go on for hours, but ultimately I can’t wrap my head around the fact I am going to pay rent for another year and get nothing in return in the long run. It seems like a waste of money. What are your thoughts? Is it possible to find a van in that state? Any aspect of van dwelling that you think might not mix well with the college environment? Am I a crazy 21 year old with far off ambitions? Oh, and I am madly in love with my girlfriend who I know would support this decision 100%. Not worried about trying to date out of a van. Oh yeah, and in a year from now when I graduate, if I hate the van life, couldn’t I just sell it and theoretically make back most of the lump sum I spent on the van? If I love it, I would put my career on hold and enjoy life for as long as possible. Happy to help if I can, Daniel! 1980s Vanagons can go for quite a few dollars. I recently met a guy who bought a decent one, with the Westy camper and all, for $4000, and he’s in Texas. If you look out west, though, prices are typically higher as those vans are in high demand. A search on Craigslist in Bend shows them going from $3000 – $30,000. The latter is insane, but I believe people get that much for a well maintained, running vanagon with a camper. Still, it’s insane. Note that the cheaper you go, the more likely you’ll need to put work into it. You’ll want to get the Bentley Guide to Vanagons which will give you a good amount of the info you need to work on it yourself. It will break down, eventually, and maybe often, depending on how well cared for it was in the past and how well you continue to care for it. Our 78 Bus requires near daily attention, though certainly other people get better rigs and don’t have quite so much work on their hands. But knowing how to fix it yourself is going to be key. Thesamba.com is another invaluable resource full of mostly helpful people. And of course, there are a TON of cool vandwellers and VW clubs in the PNW, so you’ll likely meet plenty of fellow vanagon owners who would be happy to help you out here and there. Oh but you’ll be in Alabama for your senior year…sorry, went off on a tangent there. It sounds like you’ve got an idea as to where and how you’ll stay places for free. I don’t believe Alabama has a ton of boondocking available, but if you can stealth camp and rely on friends you might be good to go. And yeah, it certainly sounds like you’re a crazy 21 year old with far off ambitions. Sounds like a lovely way to live, to me! I’m almost 40 now and still feel crazy, but wouldn’t have it any other way. If you’ve got the girl, what sounds like a relatively compatible possible future career path, and are willing to live minimally, this could certainly all work out for you. Getting a vanagon in Alabama or somewhere in the south would be likely cheaper, but your options will be much more vast in Washington and Oregon. Just watch for rust, the ocean isn’t kind to these old girls. Best of luck Daniel and happy to help with anything else I might be able to! I am 53, single mom, youngest child almost out of the nest. Waisting $1200./mo on rent. Summer 2018 youngeset child is off to college. I have never owned a camper/rv, but looking for a truck to purchase then probably a camper. I teach at a University, want to live in a camper/rv park while I pay off my camper/rv. Better to me than renting!!! I dont want a house, too much maintenance. I love all your information, very helpful. If I have my way, I will teach during the year and travel during the summer. Everyone is different, Vivian. You might be interested in this read when making your decision. I would live in a truck camper (even with all of these kids) over an RV / tow car setup any day, but that’s my personal preference for small. Thanks for your kind words and glad you like the site! This was a great read! The family and I will be buying our 5th wheel this August, selling everything and pick up workamping jobs. We became tired of paying so much money out to ‘materials’ and decided it was time to go. Congrats, Jason and welcome to the road! Curious, what do you do to make a living? What about the dreaded health insurance we’re forced to have or be penalized for not having it? These are concerns for me as a mom with kids. Sure I can buy an RV and travel but there needs to be an income and there needs to be insurance. Although, I guess if the gov’t can’t find me then they can’t fine me…lol. Happy Trails! The majority of our income comes from my web design business, Donna. We don’t have health insurance…it’s still cheaper to pay the fine than the ridiculous premiums for those of us who want to travel frequently between states. More on that in one of our latest articles, which though it is about living in a van, the insurance part applies to RVing or any other method of full-time travel. It’s so much to read…..
Campendium.com is your friend for finding campsites, Amanda! And here’s an article full of all of the options for pricing. Long story short, we’ve been able to live on $8.50 / day by boondocking most of the time (though we had a generator, too), spending a day or two in private RV parks with showers, full hookups, etc. Banking on $20 / day by living in state parks is a pretty safe and easy bet, too. Great article! We have 2 young boys (4 and 8 month) and we are strongly considering this full-time. Working in a downtown setting feels like my soul is being sucked out of me everyday. We were originally inspired by the documentary Surfwise. Must be great to sit around a fire every night or lay under the stars with your kids instead of staring at a TV. Im in the middle of launching 2 online businesses and planning on quitting job in July. Maybe we’ll see you out there! Indeed, a campfire or the stars is a beautiful thing when compared to the endless commercials on television. If you hit the road, hit us up! I am planing on taking to the road here by the end of September. My question is…how do you find state or federal parks for less than $35.00 a night? I keep reading how inexpensive state parks are but $35.00 a night is going to add up real fast. Other than boondocking I can’t find anything affordable. Maybe it’s my starting point of Washington. Yeah, Washington has some of the most expensive state parks out there for sure. You’ll find Oregon a bit cheaper. California is expensive, too. State parks in Colorado tend to run $20 or so. In Texas they’re $20 for electric, less for no electric. Every state varies but $20 / night is pretty close to the standard in most states. And compared to private RV parks, they are inexpensive (since RV parks are typically running $35 – $50 on average). If you want to live on the cheap, though, you’ll need to take advantage of free camping / boondocking on BLM and national forest lands. Get a solar setup, maybe a generator, and have at it! Thanks for the info. I’ve finally convinced my wife to go live in an RV full time. We’ve rented an RV twice this year and so far so good. We almost bought a new RV 2 months ago but since we’re still working, we decided not to do it this year. We own our house and still paying $1200 a monthly mortgage. I’m leaning on selling the house when I retire in 7 years and buy an RV. Btwy, I’ve reserved another a 30′ RV for September to go another weekend. I might buy a used RV if I find a decent one. I just don’t want to park it in my garage and used it 6 times a year. I think renting for now is the best option. If I were starting all over again, and had a house (which I didn’t anyway), I would try and figure out how to AirBNB that out. Best of luck to you too! Hey, Nathan! I appreciate for your explanation here. It really helped me to understand RV life. I need your advice if you don’t mind. My wife and I saved about $25k and we thinking about quit the jobs and travel around US next year. We thinking about buying an used trailer and a reliable (used) truck to tow. I want to buy (used)class C rv and a (used)small car but we have limited budget. What will be the best choice for us you think? Thanks for your help in advance! Is $25k your total budget for the traveling part too, or just the rig? It’s just for the rig, a trailer and a truck. BTW, we want to be full time RVer for a year or two. hello. can I have more updates to 2017 living costs? What kind of info are you looking for, Gustavo? Here’s an article on the various RV camping discount clubs we’ve used in the past, Becky. And another on the average cost of camping in the US, too, though it’s largely based around staying one night, and doesn’t reflect the discounts you get for weekly and monthly stays. I really appreciate the informative comments. My wife and I are tossing around the idea of selling our house and purchasing an RV. We’ll be able to afford to pay cash for a Class A motorhome or (for less fear of problems when sitting still long term) a top of the line camper trailer so payments are not part of our expenses. My greatest concern, as with most folks, is the monthly cost of staying in a campground. Can you enlighten me on what a “membership” might cost and which ones you would recommend…if indeed you do recommend joining a camping club. We’re not the type of people who would want to stay in a state or national park. Our income should allow us to stay where water, sewer and electricity is always supplied. We simply need to know if our daily expenses will outweigh what we now spend living at home…which is about $1,500 per month, including water, electric, cable, phone, groceries, three (paid for) cars and property tax. THANKS!! This was an interesting read, but it really is comparing appples to oranges. Like you said, a house will last much longer and it will sell for even more in the future. While the RV will just always go down in worth. True, A., but here I’m largely referring to renting vs. home ownership. Like any alternative lifestyle, unless you can work remotely this kind of ‘saving money’ plan isn’t thinkable. I’m 50 and do not know even one person who remotes, and I work in the media industry. No one I know who provides media content for the web is able to work remotely LOL. Beginning with my generation and thrown into full swing by the millenials after me, though it seems like we’re living in “the future” we’ve actually decided to take back something from America’s past that the baby boomers through away. Specifically, working for yourself, not a big company. Corporations lured us in with the promise of pensions (then yanked them or learned they could just fire people before they were due to collect), but really all they did was make us dependent on them. 1-3% raises per year while their profits headed into the billions. So yeah, this isn’t for the “let’s build a Walmart on every corner” mindset, it’s for the “let’s see the world on our own hard work” generation. Never too late to find freedom, though! Hi!…..Thank you for all this great information. My husband and I have decided after a few years in the making to finally sell all, put our house for rent and get on the road. We have accomplished plenty of things already for the trip but we are still looking for work online specially because we are in the medical field. We will be putting our home for rent and hopefully find jobs soon enough to make our dream come true. We always had issues finding trusting dog sitters therefore decided to get an RV. Being that we are money conscious and simple people, we decided to get a fantastic older class C to travel with our dogs. We also purchased an older jeep cash and for dirt cheap, not only for emergency driving but also for off roading fun. We have been taking small trips here and there and love it. I never thought one day I would look at my house and feel the need to leave it all behind like I do now just to cram in an RV with a man and 3 dogs. In order to make this happen we put a date on our calendar as our departure whether we make it or not on that day, its happening in a few months. We are not waiting for retirement to start living and there is not a single thing that matters more to me as much as spending quality time with my husband, our dogs and our close friends. I realize this travel bug is not for everyone but its definitely for us. We rather spend our money seeing new places and meeting new people than just hanging in the same old house, falling into the same old work-home routine with the 2 week vacation once a year. Your articles are of much inspiration, Thank You. Well thank you, I’m glad the site has proved an inspiration and congratulations on your soon to be traveling life! Can you generally park overnight at a highway rest area? You know, every state is different and even within States the rules can vary. The Mac stay is usually posted, sometimes it’s only 8 hours and some places are much more generous. Check out Campendium.com they have a great search and filter setup to find just that. What would postal service cost if you wanted your mail forwarded to your next stop? Well I want to do this and havery a million question. I found a lot of practical answers here to questions I don’t even know to ask. I think I can help with a few of those concerns, Wendy. For the Internet, I just use my cell phone’s connection. More on staying connected here. Here’s how mail can work while traveling. How to choose the right RV for you. Hope that gets you started! Feel free to search the site, there’s a ton of info on here. Hey! I’m just now discovering all this and I find it very interesting. I’m 22 years old , single, and I just graduated with my Bachelor’s in Violin Performance. Anyway, I plan to be playing in many orchestras around Texas at least until I can land a steadier gig. I’m expecting a pretty low income to start–probably around $25K a year, and certainly not more than $30K. I don’t mind the idea of a house, but I think I’m more adventurous than that, and as long as my work (and some of my hobbies as well) takes me around Texas, I think an RV could be a worthwhile investment. The only problem is that I don’t have the cash to spend on an RV at the moment, so I’m looking for an apartment. I would love to save money and get into an RV by the time my first lease is up. What do you think about bus conversions? There are many old buses on Craigslist for under 5K. I think school bus conversions are awesome! But, I’d just mention that you should decide what kind of life you want to have – one where you work to make money to pay for your RV’s monthly installments, and get one that’s in good enough shape that you don’t have to constantly be working on it, or a life where you can work less because you buy a cheaper / older rig, work on it yourself, but will likely work on it a LOT more often than a newer one. I have always chosen to work on cheaper things myself, but it’s a personal choice. Sounds like an exciting time in life for you, James! Well, more research would need to be done, since we don’t personally have horses, but we’ve stayed at many a free campground in the national forests that not only allowed horses, but did so for free. I’ve been wondering what to do with my life. I;m single and own a home with a mortgage. Going it alone is tough…especially when things break down, like the water heater. I have been looking into either leasing or selling my house and getting out of debt, then buying an RV. The thing is, I’m looking to set up permanently in an RV park and wondered how / IF that is an option and how would it work. Any advice or info about this would be greatly appreciated. I do intend for this to be my permanent home and continue to work regularly until I can find something to work on online. I have wrestled greatly on what to do about whether to sell or lease the house and whether rv’ing is an option. I just want to get out of debt and downsize the crud I have collected over the years. Please help. Thanks. Firstly, if you can do it profitably I would—as someone who personally gave it all up to travel (though I have a viable online business to make more I come)—say rent your house out. Any additional, hands-free money makes the traveling life all the more freeing and enjoyable. And yes, you can live full-time in some RV parks. Getting a job at one is one method of doing so. If you want to travel but need work, you could look I to coolworks.com too, where temporary positions are listed that suit the RV lifestyle. I moved to Vietnam and I spend $300/mo on rent for a great condo with swimming pool and fitness center, located 5 blocks away from the center of a beautiful city. Electricity bill is around $10/mo and water is $5/mo. High-speed Internet is included in the rent, so in total I only pay around $315/mo for a great life. And I’m not even talking about the great weather, food, beaches or women. Doesn’t make sense to live in the US at those prices, even an RV is expensive starting from $850/mo. Seriously, it’s a ripoff. If you really want to save money, you should just move away from there. Glad you found something that works so well for you, Michael! I like a lot of what you point out in this except for the fact that in your price/expense break down, you don’t see all the money going into a house as a long term investment. All that money you put into paying for the house will come back to you + more assuming you see as the market continues to appreciate. In that sense it only makes RV’ers look like renters with no long term investment. You’re absolutely correct. Though as 2007 – 2008 showed us, a home purchase is not a guaranteed investment.